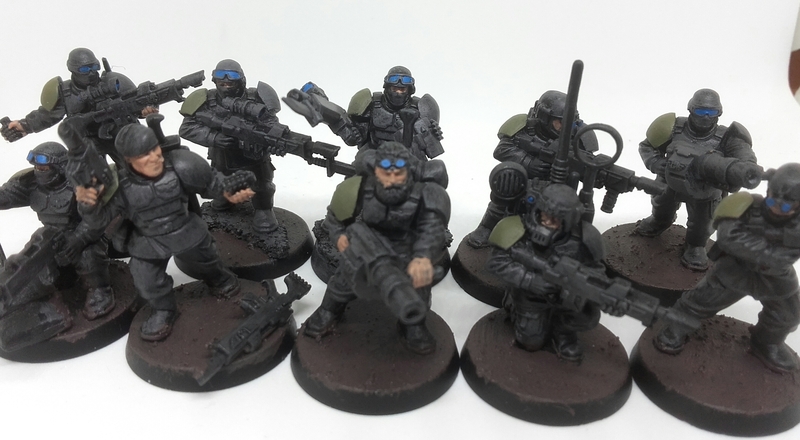 Cadian Special Ops: Now with paint! The count down to hand over of these minis is fast approaching, especially as I only see the person three or four times as year. The first batch has been finished a while. As such I pushed ahead with this lot. They went from unprimed to base layers throughout various parts of the day as time allowed. As I was using the army painter spray again I shook the can for a long time, then I let the kids shake it on the trampoline some more. No harm in being sure. With a few thin coats they came out looking well and it was onto the next layers. Coping the basic ideas of the first set they got a heavy dry brush of dark grey, almost full on paint. Black stands out in the dark people. Then I hit the based with some Stirland Mud, as carefully as I could. The shoulder pad colour was a nice kahki dark green, as suggested in the last posts comments. 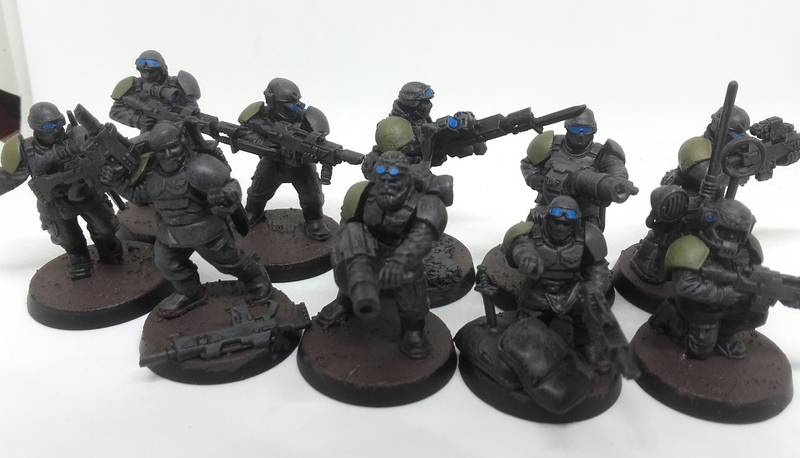 Then I started on the lenses on one model to give me an idea of the look… but I got carried away and did them all. Finally the first layer of skin was applied and things started to look almost presentable for WiP. Final day to paint these will be Wednesday. 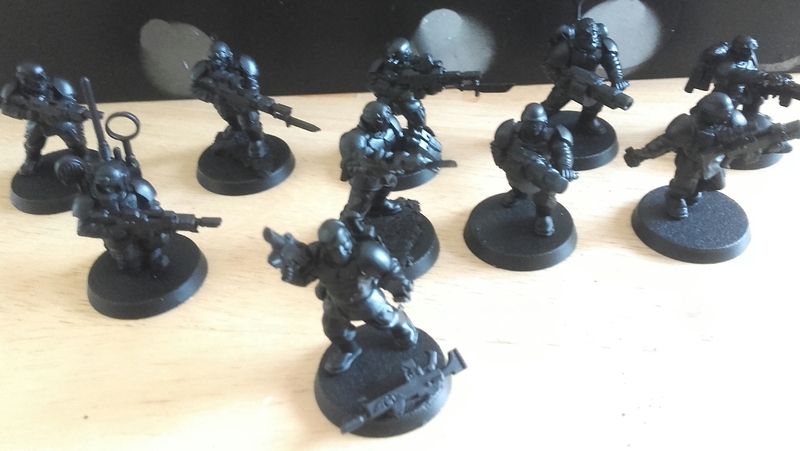 So I shall keep on with them and hopefully finish them up before that.